Home / Shopping / Why sending Greeting Cards is still popular? Why sending Greeting Cards is still popular? Before the arrival of internet or advancement in telecommunications with mobiles, text messages or emails, there was a simple and adorable way of sending greetings through greeting cards. Unfortunately that trend slowly faded away with more people turning towards technology products and utilizing them to send and receive greetings and share happiness with loved ones. However, in some parts of the world the trend of sending greeting cards is still breathing, many thanks to certain gift stores that still provide very attractive and fascinating greeting cards. The tradition is still kept by many who belong to old schools of thought or simply because a greeting card can express in a more convincing way than any text message or email. The internet is literally killing this beautiful tradition of greeting cards. However, many online stores are now offering personalized greeting cards and distinct styles and designs to choose from to make them more adherent to modern demands. People still believe that a greeting card can help them express their emotions in a more elegant way than a simple text message. When someone send gifts online to Pakistan and choose a greeting card customized for the occasion, it leaves a greater impact on the recipient because the words written express deeper connection between the sender and receiver. 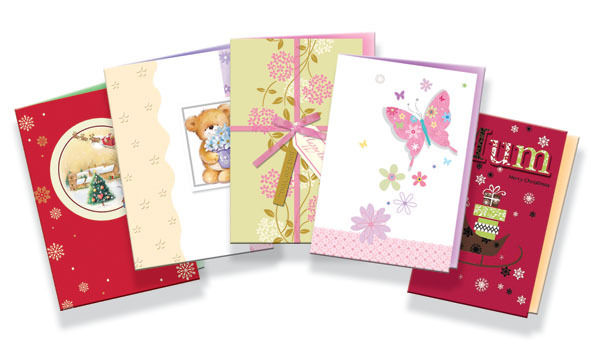 “Cards make us feel loved.” Said Sharon Little, Chief Executive of Greeting Cards Association UK. It is a lovely thing to get a card from your loved one because it shows their effort to search for the right card and also to put some thoughts into writing their heart out for you. You cannot compare the words written by someone from heart in a greeting card to any text message or email. The best thing about greeting cards is you can always keep them as your memorable collection from your loved ones. You can look at them, read them again and again after years passed. They cannot be destroyed instantly like an email trashed or text message deleted. They are there to accompany your memory lane. Now that mostly gifts are purchased online through e-stores and online gift shops, greeting cards are also one of the popular purchases online. There are more and more occasions discovered to send a greeting card for through these online stores. You can find birthday cards, Valentine’s, Christmas, Mother’s day or Eid greeting cards. However some of the new occasions are new job, get well soon, Hajj Greetings, Umrah, Ramadan, Promotion, New Home, New Baby etc and a lot more cards to share your loved ones’ sorrow. You can send sympathy card, thinking of you, miss you, Sorry, Divorce, and a lot more. There are plenty of versatile cards available online that make fantastic gift for your loved ones because they can be easily customized according to the recipient and occasion. Sending cards is a very traditional act and it certainly improves the connection between you and your loved ones. It is better that this culture stays alive and people keep on sending greeting cards to express their emotions in a truly passionate way as it will let them revive their memories with loved ones for longer time.